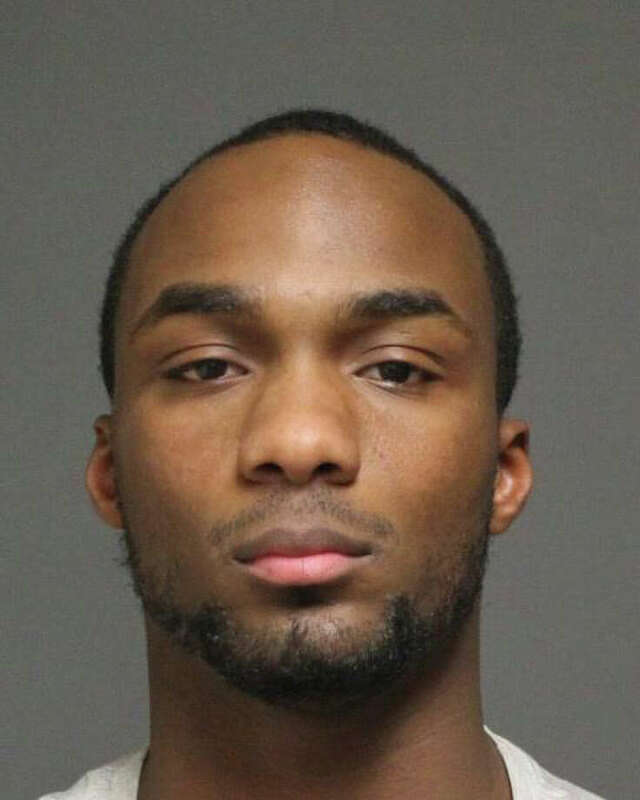 Terrence M. G. Cromwell, 21, of Stamford, was charged in connection with October robbery of Pequot Liquors. A second man, who police said acted as the "lookout" for the Oct. 18 armed robbery of Pequot Liquors, was charged Thursday. Terrence M.G. Cromwell, 21, of Pine Hill Street in Stamford, was charged with first-degree robbery, conspiracy to commit first-degree robbery, third-degree larceny and conspiracy to commit third-degree larceny. He was held on a court-set bond of $50,000 and is scheduled to appear Dec. 16 at in state Superior Court in Bridgeport. The liquor store robbery, which netted a little over $2,000, happened just before closing time Oct. 18. Heriboto Trujillo, 29, of Bridgeport, was charged with the crime Nov. 21, and police are still looking for a third man they said was involved. The holdup unfolded as Trujillo entered the liquor store, demanded money and displayed a small handgun, while Cromwell waited in front of the store, according to the report. A third man who drove the getaway car in still being sought.